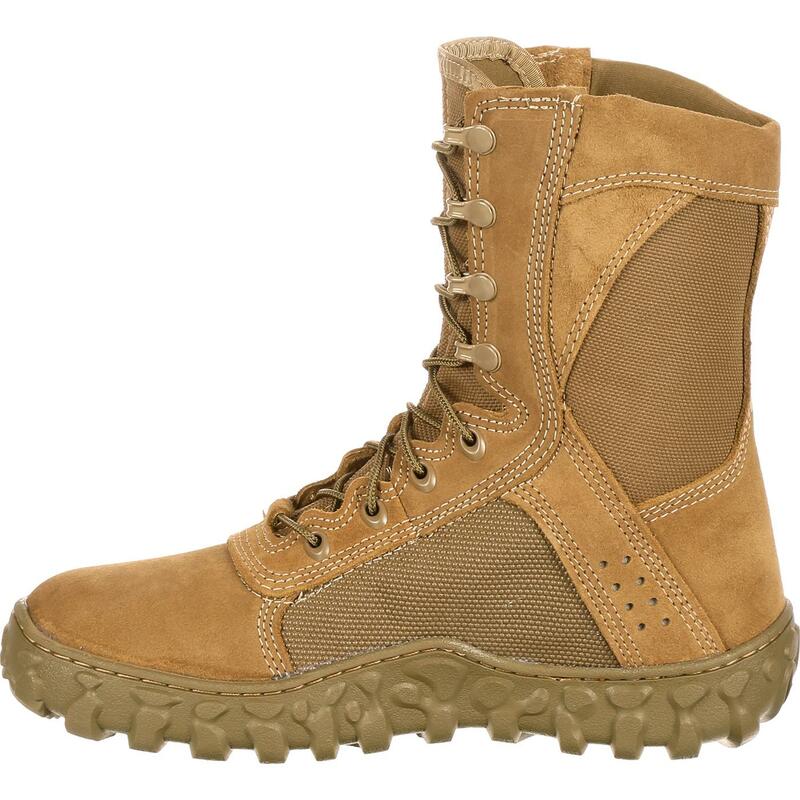 Be the ultimate warrior in the Rocky® S2V Tactical Military Boot. 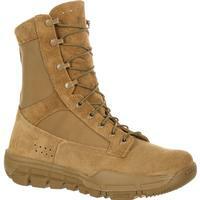 This Coyote Brown combat boot is ready for action. 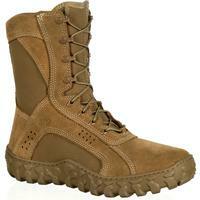 They are available in a color that meet your needs and defend your feet, at the same time. 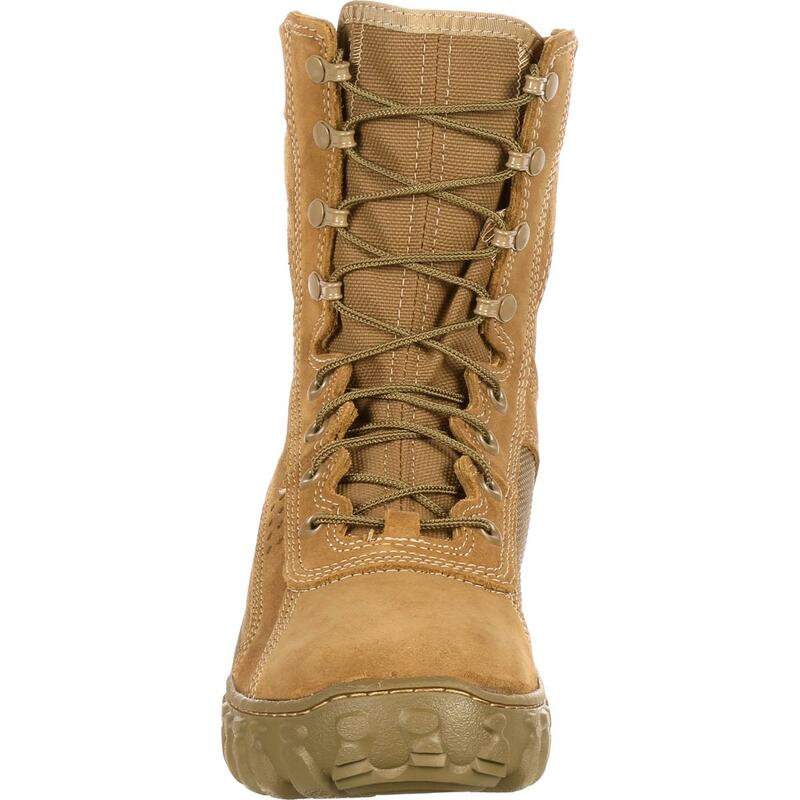 They feature flash- and water-resistant leather geared to protect your feet from quick flashes and rope burn. 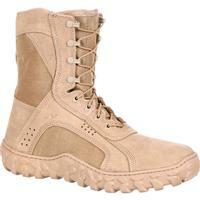 Plus, it uses 1,000 Denier CORDURA® technology in the sides and panels, a PTFE coating that serves as a flame retardant. 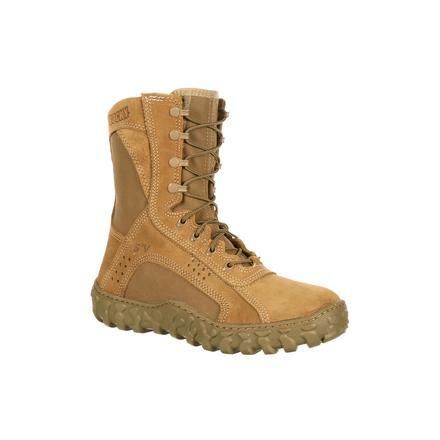 This Coyote Brown army boot works to quickly dry your feet. 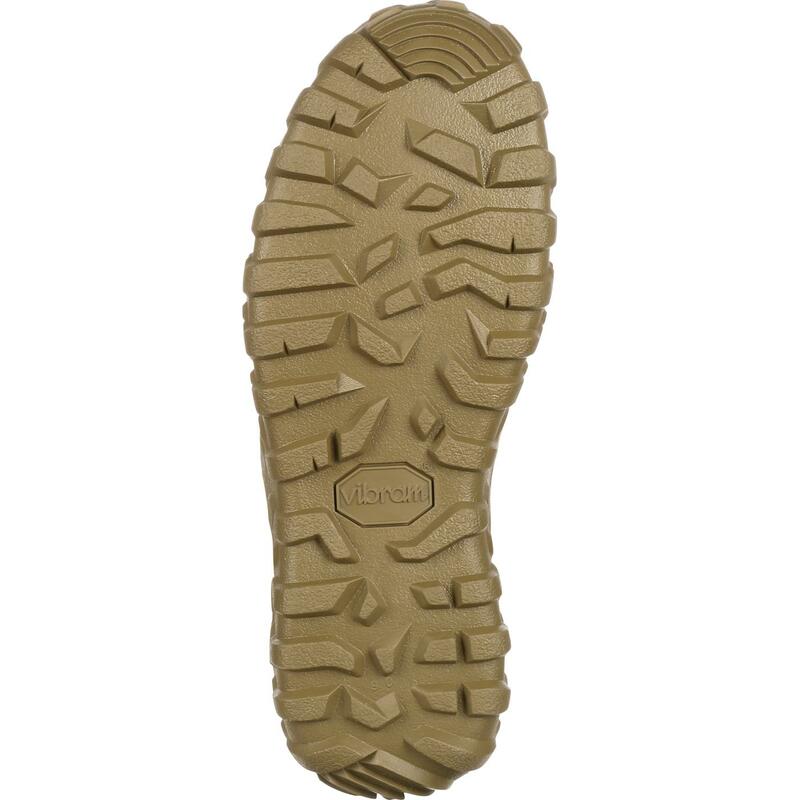 The drainage vents and Dri-Lex® lining work along with the stretch LYCRA® tongues to hug your feet and wick away water. 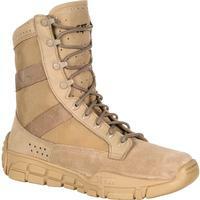 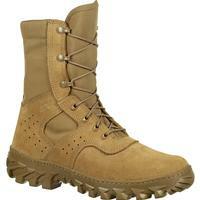 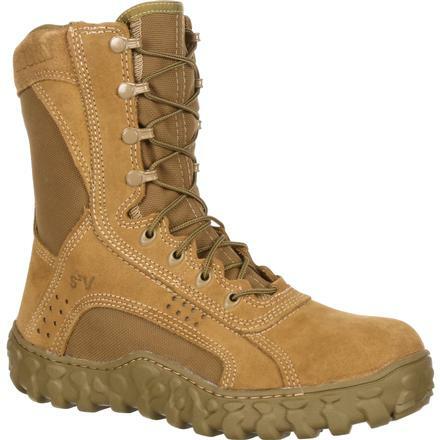 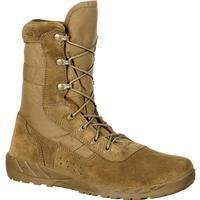 These military shoes also have triple-stitched uppers and proprietary high-walled Vibram® soles. 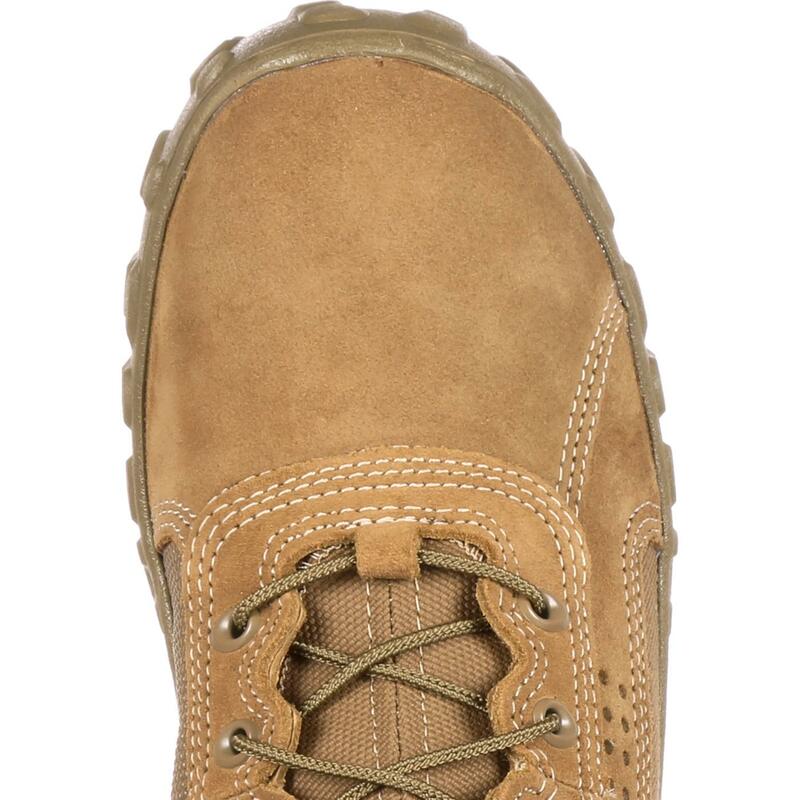 The perforated Air-Port™ cushion footbed and PU midsoles maximize comfort. 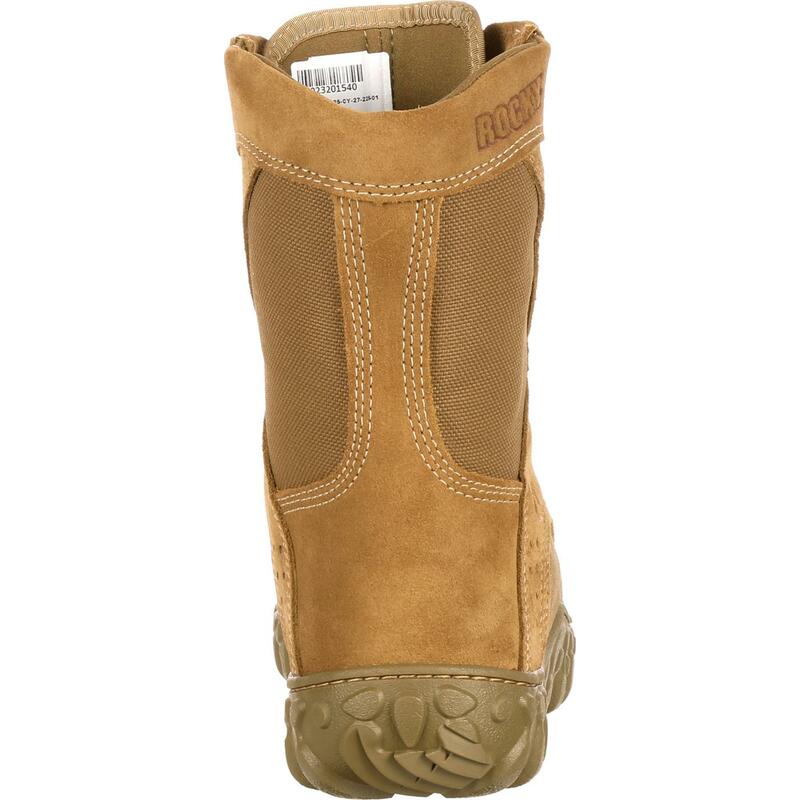 The footbed also has an Aegis® Microbe Shield to defend against fungus. 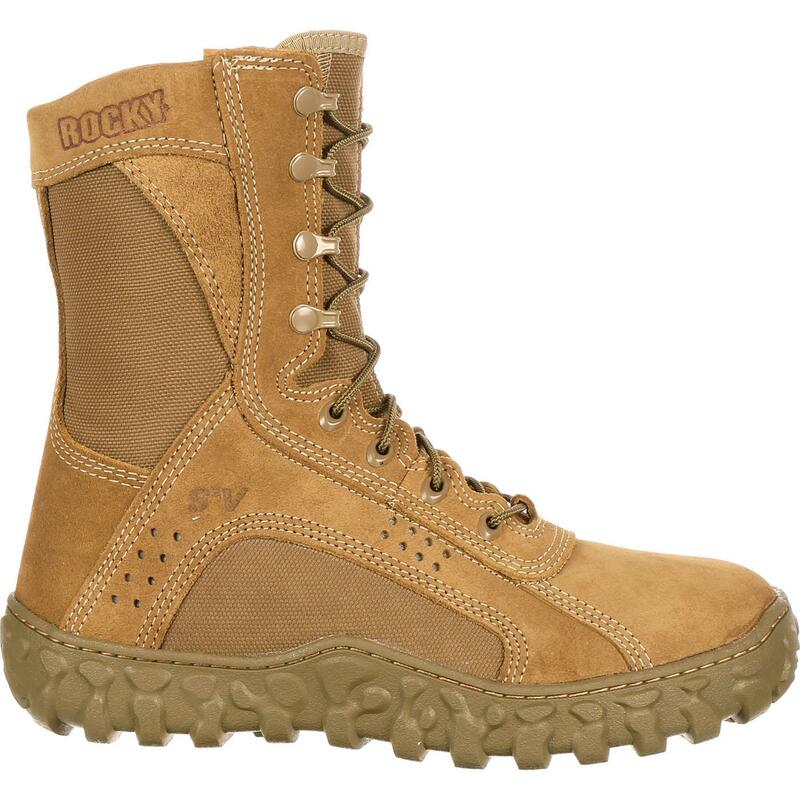 Made in the USA, the Rocky S2V Tactical Military Boot is Berry Compliant, eight inches tall and Uniform Compliant (AR 670-1).